What do Madrid, Turin, Leiden and New York have in common? All four cities have a complete Egyptian temple! Back in 1960 when the Great Dam of Aswan threatened to cover Lower Nubia and all its ancient Egyptian temples under Lake Nasser, UNESCO made an international call to save the many historical sites, among which the massive rock temples of Abu Simbel, that were between 1964 and 1968 moved 200 meters away from the river. 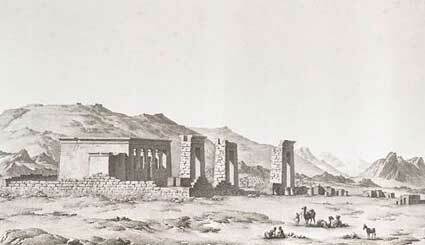 As a thank you present, the Egyptian state gave away four of the Nubian temples. 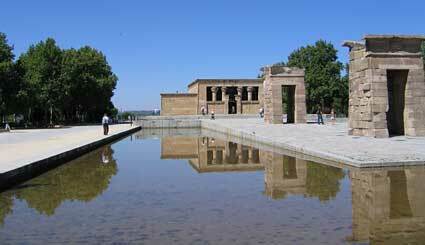 We had already seen the Temple of Taffa here in Leiden (many times, actually — it is only 15 minutes bicycling from where we live), and Debod was the second Egyptian temple we saw outside of Egypt. It was given to Spain in 1968 and is now located in one of Madrid’s most beautiful parks, on a site overlooking a valley and the city’s Palacio Real, near Campo de Moro and Parque del Oeste. 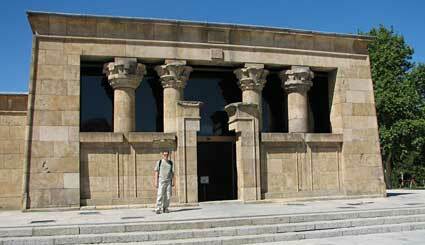 The temple was built approximately 2200 years ago to honor the gods Amon and Isis, and after it was moved from Egypt it opened in Madrid to the public in 1972. They’ve made it into a really nice small museum. 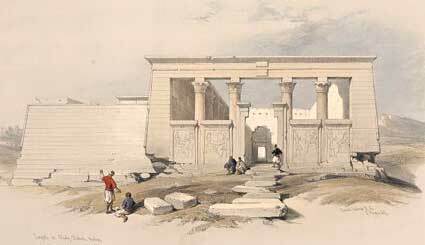 There are several small rooms inside, with the sanctuary in the back as is usual in Egyptian temples. The walls of the center corridor are covered with beautifully preserved hieroglyphics and sculptures, much nicer than the bare walls of the Temple of Taffa here in Leiden, which is much simpler by comparison. The Spaniards added a roof and made stairs on the left inside of the temple, that bring you to a small exhibition upstairs. There is a miniature rivier with all the monuments that were moved, and several informative displays. The Temple of Debod is open Tuesday through Friday: April 1 – September 30: 10:00am to 2:00pm and 6:00pm to 8:00pm; October 1 – March 31: 9:45am to 1:45pm and 4:15pm to 6:15pm; Saturday and Sunday: 10:00am to 2:00pm. It is closed on Mondays and Holidays. Last visit begins 15 minutes before closing time. Entrance is FREE! On our trip down the Nile in Egypt in 2003 we already saw Abu Simbel and Philae, both saved from Lake Nasser by UNESCO. This entry was posted on Saturday, September 2nd, 2006 at 11:47 pm CET and is filed under Travel	with tags . You can follow any responses to this entry through the RSS 2.0 feed. You can leave a response, or trackback from your own site.